My Boyfriend Hates Makeup: BzzAgent Green Mountain Coffee Review - Focus Blend! 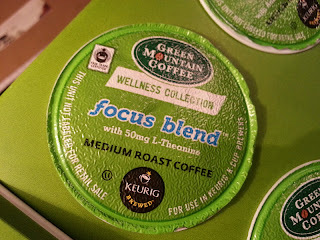 BzzAgent Green Mountain Coffee Review - Focus Blend! I am so psyched to be a BzzAgent, to try items and report back to you guys. For my first campaign, I was selected to try two new Wellness Blends by Green Mountain coffee, an Antioxidant Blend and a Focus Blend. 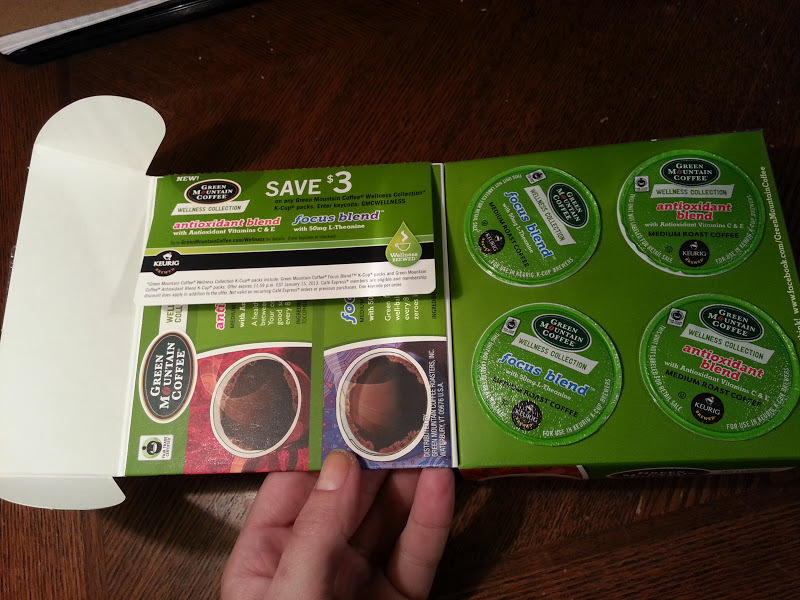 They sent me KCups, coupons, and a little explanation packet. This was awesome! First of all, they KNEW exactly who they were marketing to when they asked me to join this campaign. Talk about dedicated advertising. I LOVE COFFEE. I cannot start my day (or be recognized as a human being) without 1-4 cups of strong coffee. The Antioxidant blend is good, but what I really want to praise is the FOCUS BLEND! I love coffee, but hate energy drinks because they make you too jittery, jumpy, and anxious. Energy drinks turn me up to a 12 on the 10 scale, and I cannot tone it down to focus. The Focus Blend coffee is PERFECT. I feel like I am a 9 on the 10 scale - energetic like regular coffee, but also more focus, with this laser light prescision to get things done easily. It really does make a difference compared to my regular coffee and I know I will repurchase the FOCUS Blend by Green Mountain. Thanks to @bzzagent for letting me try this product, and I hope you enjoy it, too. *BzzAgent sent me coupons to share!! If you want to try this, email me laceyjchrystal @ gmail.com for a coupon and I'll mail it out to you! !